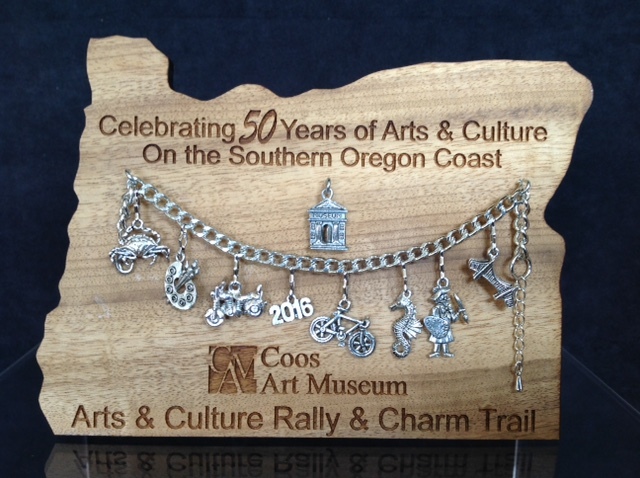 Coos Art Museum wish to express its gratitude to the business owners and citizens who participated in the first Arts and Cultural Charm Rally. The Rally was a huge success with local residents, and with visitors from outside the area. Feedback from people who participated in the Rally was very positive, which highlights the professional and courteous reception one can expect when visiting our community. The purpose of the Charm Rally was to introduce local residents and visitors to area vendors and cultural venues they might not frequent regularly. Local merchants bought 22,200 charms for resale. We sold 1,825 charms and 1,059 bracelets. We look forward to seeing you next year for The 2017 Charm Tour.